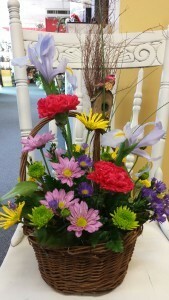 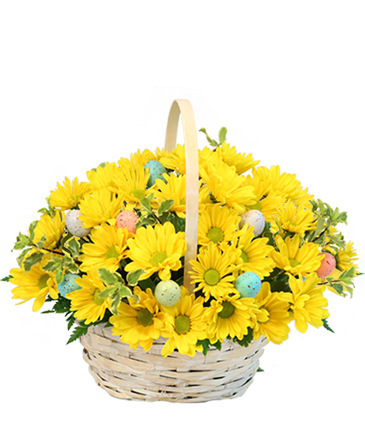 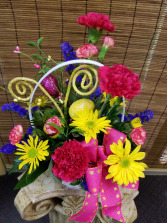 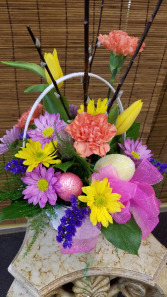 Basket with glittery eggs and a mix of bright flowers for Easter. 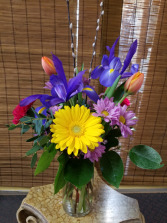 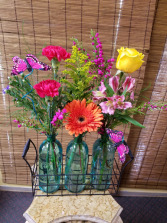 Blue bottles in a wire basket hold a mix of bright flowers such as gerbera, rose, alstroemeria and carnations. Colors may vary. 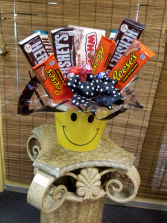 We will deliver within a 3 mile radius of Hutchinson Ks. 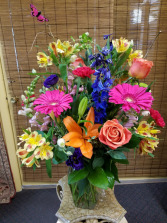 Outside of that 3 miles there is an additional charge of 5.00 plus a 40.00 minimum not including delivery or fees. 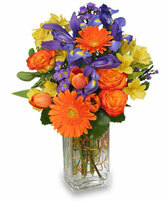 Please call to confirm that we will deliver to a country address. It is not possible to duplicate pictures entirely on this website. 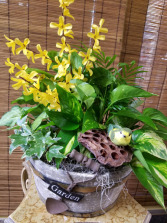 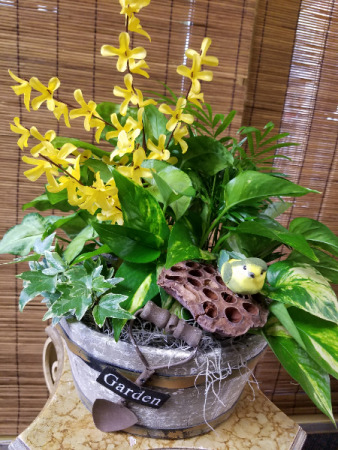 We do our best to match colors and varieties of flowers but not every flower is available. 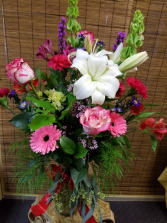 Some flowers require time to open up ensuring a long lasting arrangement. 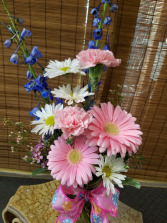 Thank you for taking a look at our website!